Northfield Youth Choirs sparks the growth of its singers through artistry, shared experiences, and joy. The Northfield Youth Choirs is a great place to sing and a great place to grow up. Since 1986, hundreds of young people have found their voices and lifelong friends singing with these extraordinary choirs. Singers in grades 1 through 12, college students, and adults enjoy weekly rehearsals with nationally renowned directors and music educators, retreats, area performances, and tours appropriate to their ages and developing voices. Poco: A Music Experience is a non-performing eight week workshop available for singers in grades PK-K two times per year. The NYC believes that the poet Rabelais had the right idea too: “A child is a fire to be lit, not a vase to be filled.” Singers benefit for the rest of their lives from the skills and the discipline they acquire in the NYC as well as from the fires kindled within them. Founded by Cora Scholz and Judy Bond in 1986, the Northfield Youth Choirs are 30 years old and going strong! Elizabeth Shepley, a conductor with the NYC since 2001, led the organization as Artistic Director from 2005 to 2017. Michael Jeffrey, a former intern and conductor, returned to the NYC in 2017 to assume the role of artistic director and director of the concert choir. 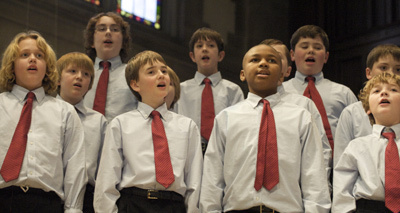 The NYC consists of seven choirs and summer programming that serve over 200 children from grades PreK-12, college students, and adults. Highlights for the group include performing on Garrison Keillor’s Prairie Home Companion radio show, premiering a work at the Northfield Sesquicentennial Governors’ Ball and Northfield Arts Guild’s 50th Anniversary Beaux Arts Ball, and opening the legislative session in the state house chamber. They have performed in prestigious venues including Canterbury Cathedral in Canterbury, UK, Rockefeller Chapel at the University of Chicago, the Basilica of Saint Mary in Minneapolis, Carnegie Hall. During 2017 the concert choir toured and performed throughout Norway.